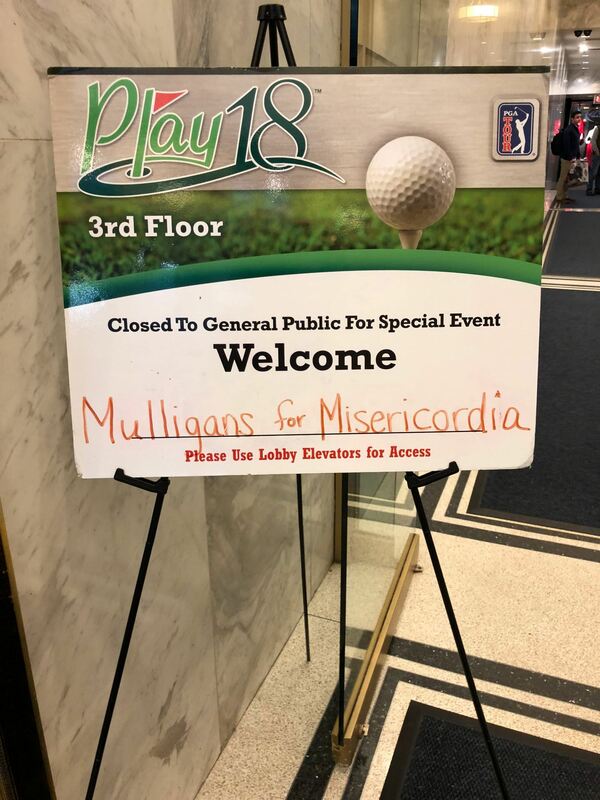 “Mulligans for Misericordia” was an event at Play 18, an indoor golf facility on Wabash in the Loop, on Saturday, May 19th from 2:00 PM to 5:00 PM. The benefactor for this event is Misericordia House of Chicago. Our decision to host the event at Play18 was due to a variety of factors, including the venue’s offering of a space that can hold up to 200 people (note: our maximum projection is 100 attendees) as well as various additional activities including: 4 PGA Tour simulators, driving bays, pool tables and a bar. 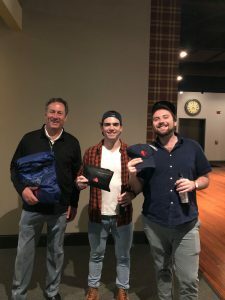 In addition to proceeds from the revenue generated by each $50 ticket sold to the event, we originally planned to have a small silent auction that we hoped would further the net contribution we were going to be able to provide to Misericordia., however we ultimately held the longest drive and closest to the pin contests to award prizes. We were able to surpass our target donation amount of $1,000 and ultimately provided a donation of $1,275. 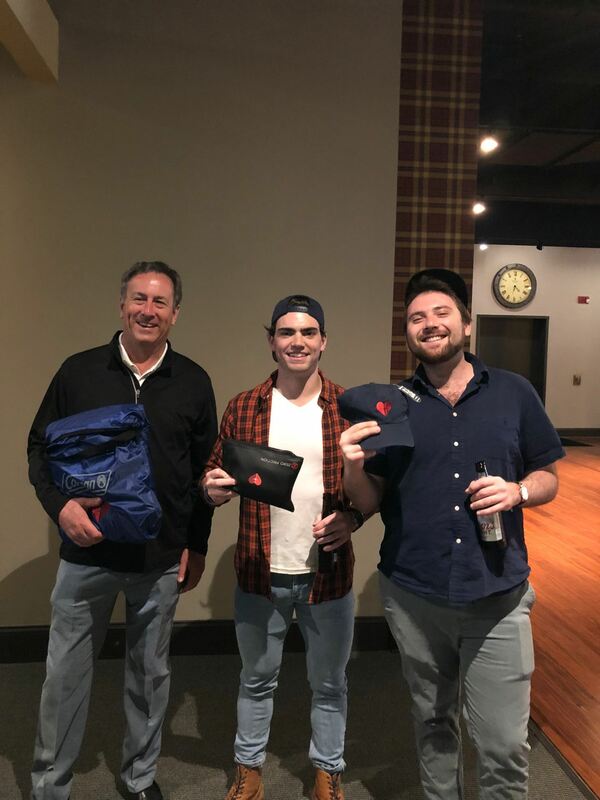 We also aimed to raise awareness for Misericordia by helping promote the organization, and our goal was to increase Facebook followers by at least 20 individuals. Over the duration of our project, Misericordia’s “Likes” increased by 63, a number that we acknowledge cannot be solely attributed to our efforts, but we are confident we were responsible for at least twenty of these. Founded originally in1921, as a maternity hospital for women of meager means. In1954, Misericordia transitioned and began recognizing an even greater need in society—helping young children with developmental and physical disabilities. Misericordia now offers a spectrum of residential options on its 31-acre Chicago campus and in the community for persons with mild to profound developmental disabilities Misericordia currently serves more than 600 children and adults from diverse racial, religious and socio-economic backgrounds. Our team had two goals at the beginning of the project. First, we wanted to raise awareness about Misericordia and the work they do in the community. Secondly, our team aimed to raise $1,000 to donate to Misericordia. To spread the word about our charity we created a Facebook page and an Eventbrite page that had information about Misericordia and our event. 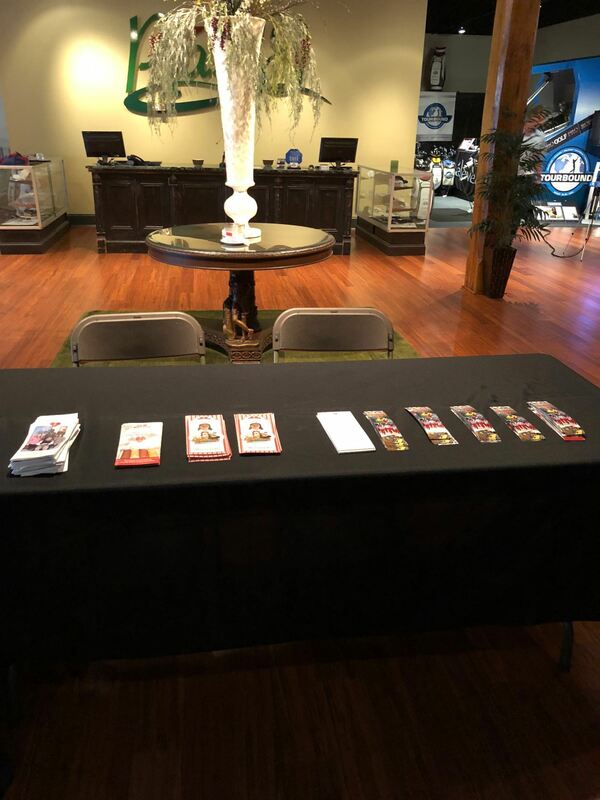 During the actual event, we were provided with several informational pamphlets that we place around the venue. We also were fortunate enough to have a few current residents at Misericordia come to our event and one of them, Christopher, gave a fantastic speech about his experiences with Misericordia. While it is difficult to quantify the impact Christopher’s speech had, we felt it was very impactful and truly left a positive impression for those who were in attendance. Financially, our only expense was the $1,000 to rent out Play 18. To hit our goal, we needed to raise $2,000. We planned to sell tickets initially at a $50 price and then reduce the price to $25 the day of the event to attract the maximum amount of attendees. Originally we planned to host a silent auction to diversify our revenue streams, but the logistics did not work out, so we pivoted. 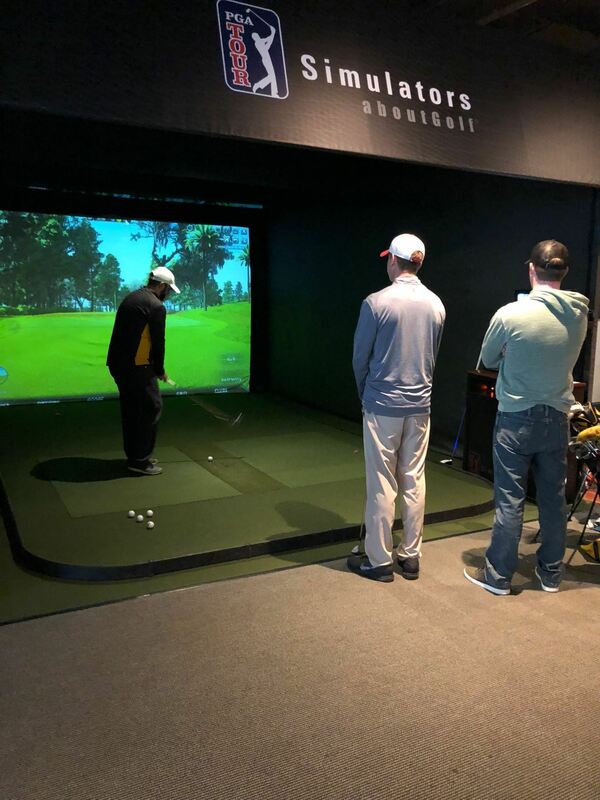 Instead of auctioning off the items provided by Misericordia we designed a long drive and closest to the pin challenge. These contest offered a fun incentive for people to come and increase our ticket sales. 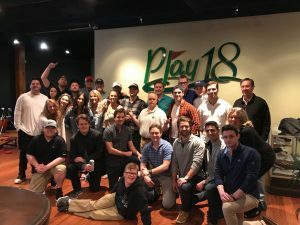 Our team was able to sell enough tickets in the weeks before our event date of May 19th to break-even, so we knew heading into the week of the event that any additional sales would go directly to our charity. The final tally on tickets sold came in at 30 for a total of $1,125 raised. We received a handful of generous donations as well for an additional $1,150 to make our grand total $2,275. That meant we had achieved our goal and raised $1,275 in contributions for Misericordia. Maintain active communication: One useful project management activity we implemented was regular weekly meetings. There were many moving parts to the project, so meeting weekly was an excellent method to avoid any surprises and to keep up to date. We also had a group email that allowed us to be in constant communication with each other. Planning: An area of improvement was planning. We set our event date relatively early in the quarter, which only left a few weeks to confirm a location, market, and generate sales for the event. 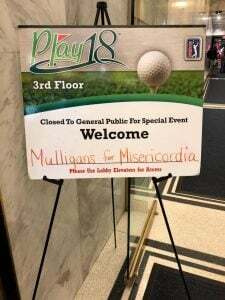 We confirmed the reservation at Play18 on May 7th, which gave us a little less than two weeks to raise at minimum $1,000. While we were successful, we acknowledge that if possible we should utilize longer planning periods. The first piece of advice our team has for future teams is to use your time wisely. With only two months to plan, sell, and host the event you need to make sure to regularly meet with your team to make sure you are on the right track. It can be tempting to relax the first few weeks, but that is really the time your team needs to flush out the idea. Next, always be communicating. Figure out what method works best for the team and go with it. Our team found an email thread to be a quick and efficient way to keep up to date. Another piece of advice is to have contingency plans. As the event date approaches things can fall through. Having even the most basic backup plan can make things go much smoother as opposed to trying to figure it out on the spot. Another thing to consider is staying organized. There were contracts, ticket sales, and donations that were very important to keep track of. Lastly, be positive and have fun. This is especially important because you are part of a team. Maintaining an optimistic and enthusiastic attitude can help you get the most out of the project. Your Article is just awesome. TWO OR THREE LESSONS LEARNED ABOUT MANAGING PROJECTS are also interesting.